Although I was an English major at Dartmouth College, I never had a class taught by Professor Noel Perrin (1927-2004). 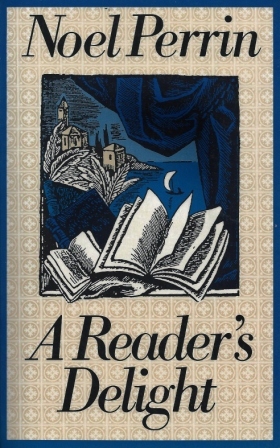 Nevertheless, he has had an outsize influence on my reading with his book A Reader’s Delight, consisting of collected essays on interesting byways in literature which he originally wrote for the Washington Post. I always like to acknowledge my sources. For instance, there were the essays of Jorge Luis Borges, which, since around 1970, have been my principal guide to the world’s literature. What do the asterisks signify? Only that since reading the recommended book, I have read other works by the recommended author. That’s quite a record.